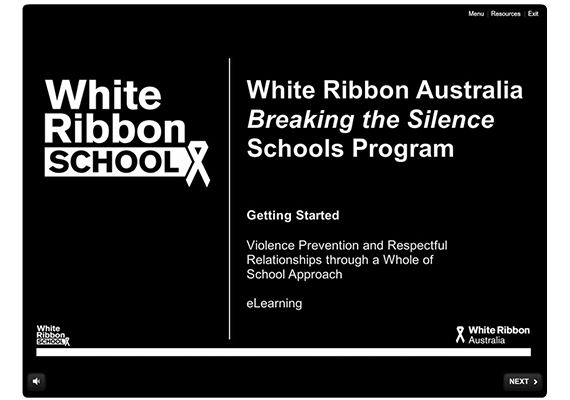 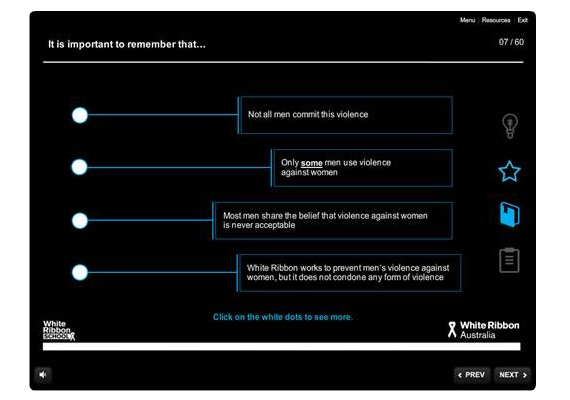 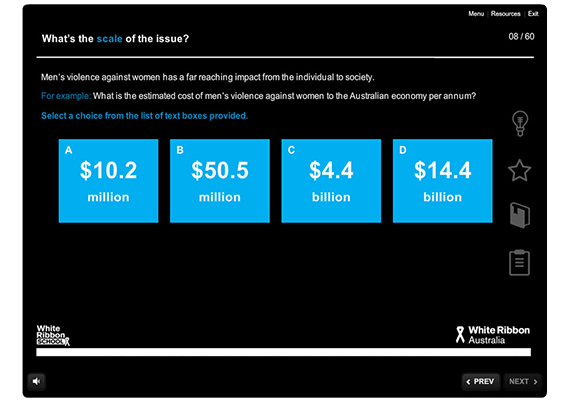 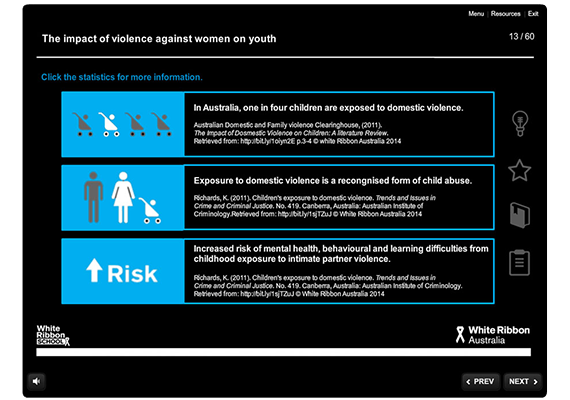 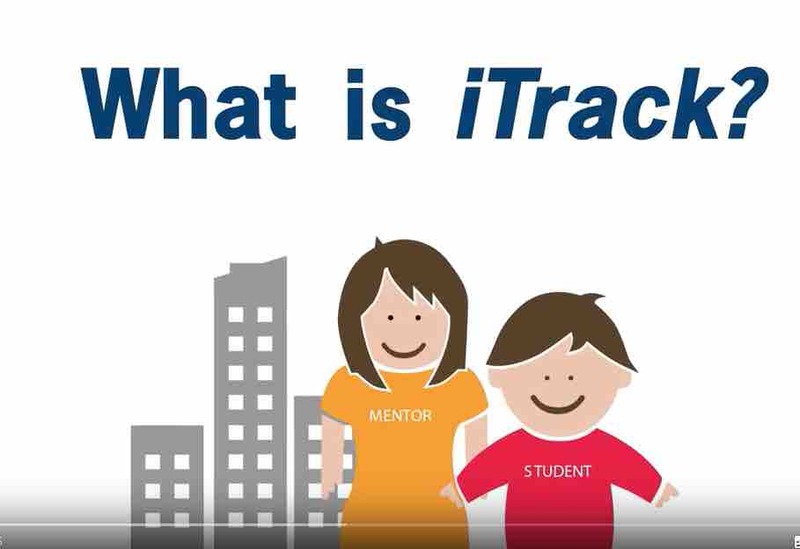 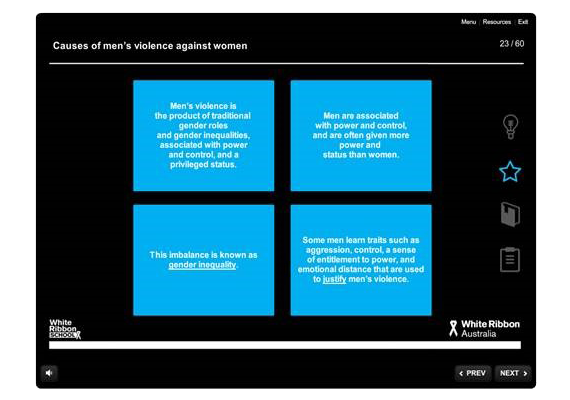 White Ribbon required an elearning course for schools that would upskill teachers and provide foundational knowledge to support preparation and implementation of the Breaking the Silence in their schools. 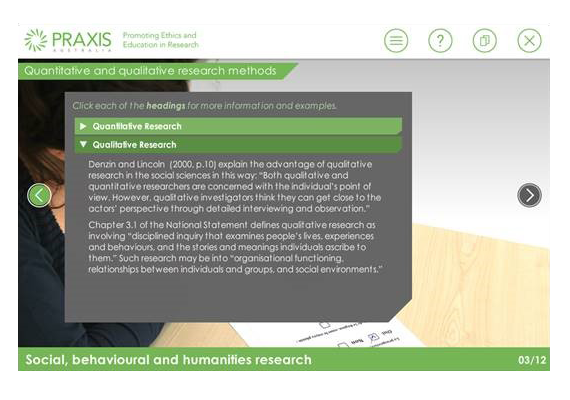 Activities, resources, and planning tools were linked to key areas of the module. 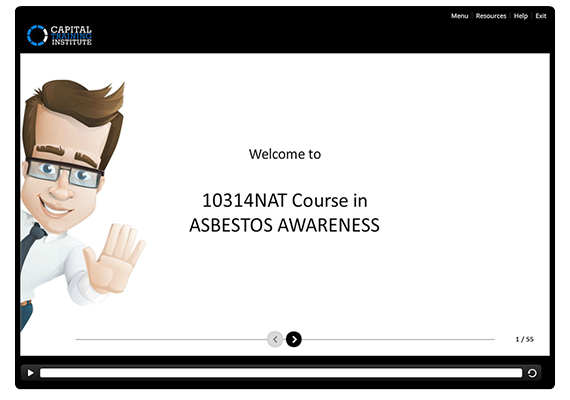 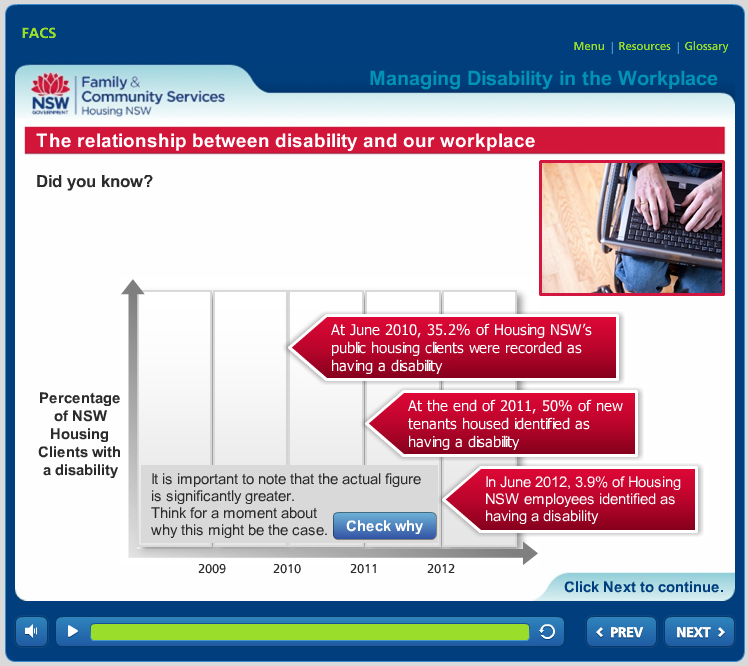 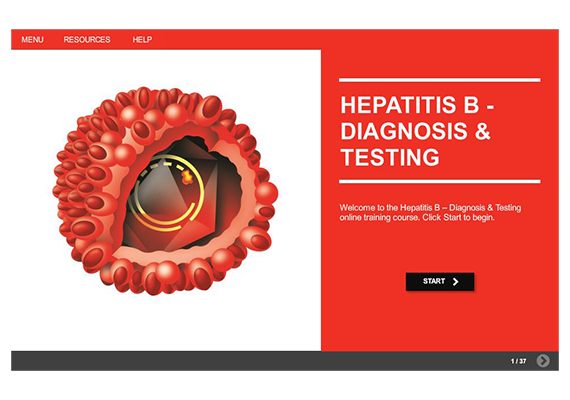 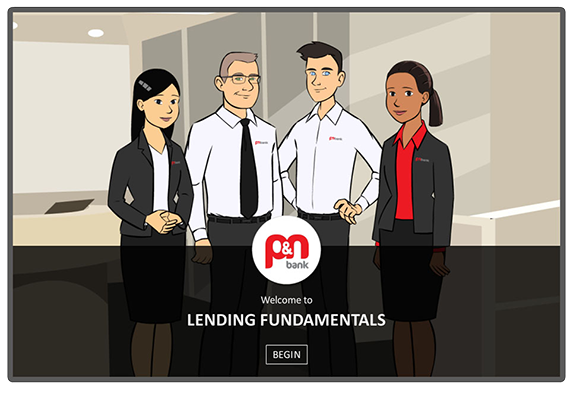 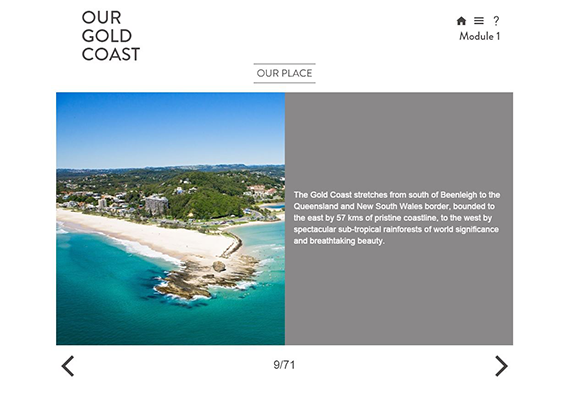 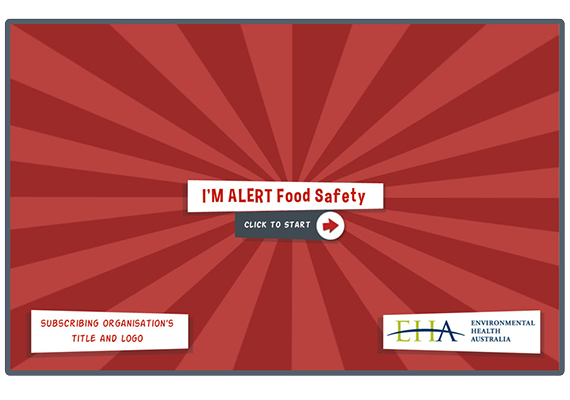 To meet this need, our elearning developers designed a toolbar on the right side of the page template, with icons that would glow when there was further supporting information provided. 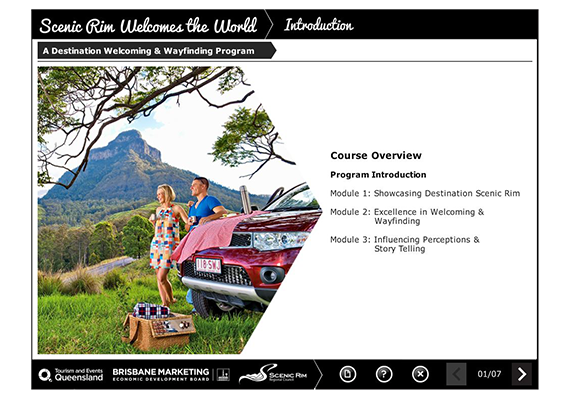 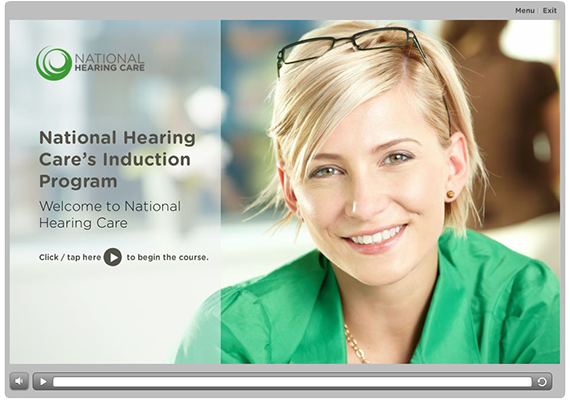 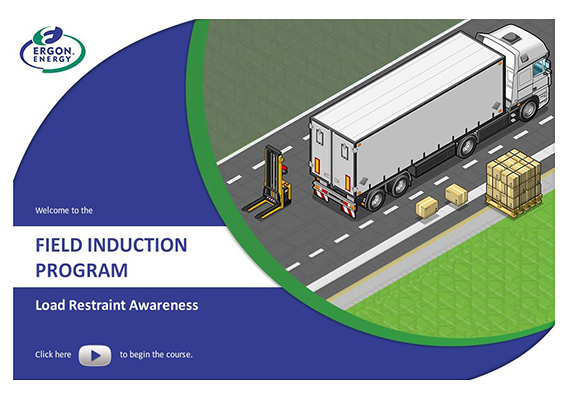 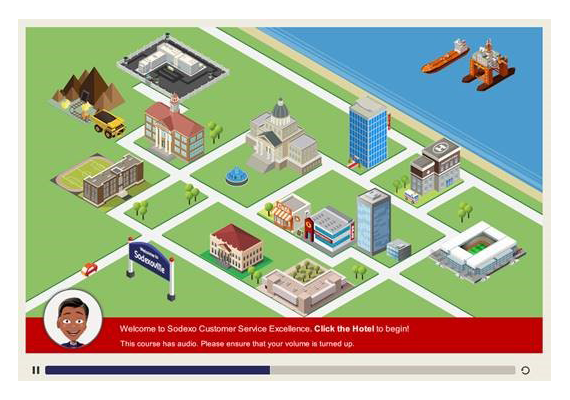 This Level 1 LMS training course was a clean, simple and graphic design that allowed teachers to progress through the information and discover resources along the way.